In Demand: You are offering a service which is in demand in your area. People WANT what you are selling and you are offering a really valuable service to local parents. Without you they may forget or struggle to create their keepsake which will be a part of their families history. It is ever expandable: There is so much you can do to expand this business as you can add complimentary product lines, partner with local businesses. The Keepsake Co has been going for over 16 years and has never run out of ideas to grow. It is over many markets: The baby market is considered the largest market but pets is a close second. 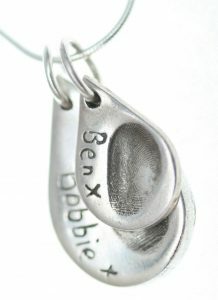 There is also the wedding market, birthdays, anniversaries and memorial jewellery. It is fun and creative: This is not an office job. This is a wonderful and creative way to earn an income which never really feels like work. It is sociable: Running a creative home based business can be lonely. You sit at home making your lovely gifts and then often post them off to a another part of the country without ever meeting the customer. 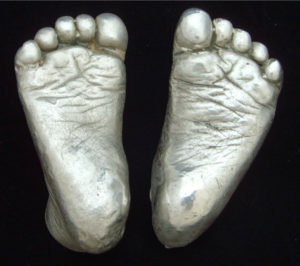 With a local keepsake business you will be meeting parents in your local area which is a wonderful way to meet new people. It is flexible: There are no set hours with this creative home based business – you can book appointments into your diary to suit YOU and you can even do a lot of the work in the evenings when the little darlings are tucked up in bed for the night.. saving on childcare costs. Many of our ladies even take their little ones to appointments with them. As your target market is mostly made up of Mum’s, they are often more than happy to have an extra little one tag along. It is profitable: Working on about a £25-50 an hour (in some cases higher) this can be an incredibly lucrative way to earn a great income. Low start up costs: With many businesses costing between £20,000-£150,000 to start you can get going with a keepsake business for so much less. Scale: Whether you are investing in your business from the start or you decide to start on a very low budget and work your way up.. anything is possible with keepsakes. You could start with one product or them all. You can do free marketing or pay for adverts. It really is about you, your dreams and your current situation.